Autumn is a fun and mysterious season to write about, and for some reason it seems like it’s easier for me to write in the autumn and winter months than the rest of the year. I don’t know if it is because it’s such a cozy time of year, or because there’s so much inspiration in the air with the chilly weather, falling leaves, and holidays approaching. But as much as I enjoy writing about autumn, I also like to read what others have written of it. 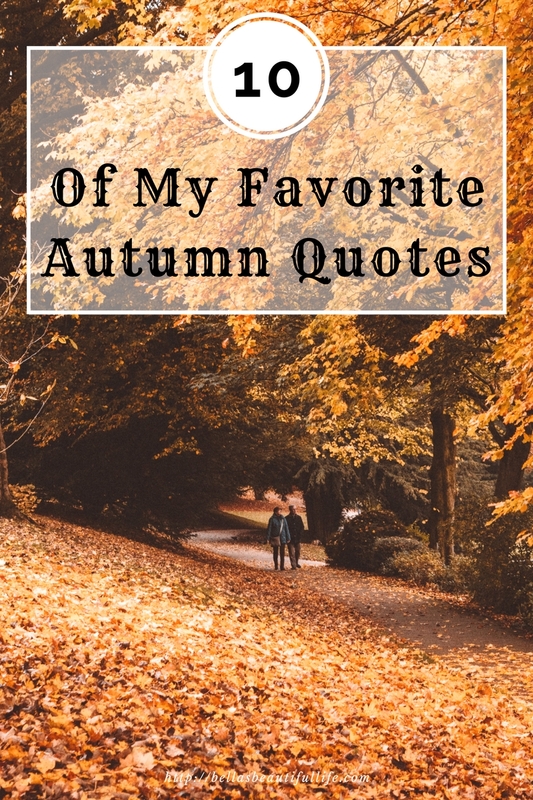 Here are some of my favorite autumn quotes, both classic and modern. November always seemed to me the Norway of the year. Autumn leaves shower like gold, like rainbows, as the winds of change begin to blow, signaling the later days of autumn. As long as autumn lasts, I shall not have hands, canvas and colors enough to paint the beautiful things I see. Autumn leaves falling down like pieces into place, and I can picture it after all these days.